I’ve been chosen to be in something called the National Aboriginal and Torres Strait Islander Health Survey (NATSIHS). Why? This survey is run to provide the community with vital information for measuring the health and wellbeing of Aboriginal and Torres Strait Islander peoples. If your household has been selected to be in this survey, it means that the people in your household will represent households that are similar to yours. This is so that statistics about larger groups in the community can be produced. The ABS has developed the NATSIHS in close consultation with a range of stakeholders, including commonwealth and state/territory governments, Aboriginal and Torres Strait Islander people and organisations, academics and researchers. 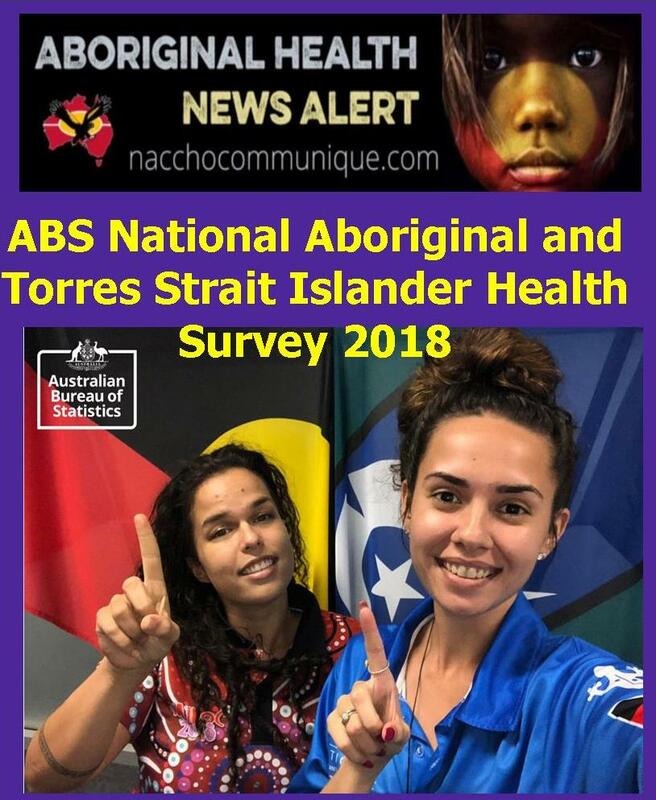 The results from the survey are used extensively by government agencies, researchers, clinicians and other health professionals in your community to help plan for the future and support research into ways to help Aboriginal and Torres Strait Islander peoples live healthier and longer lives. From July 2018 to March 2019, about 6,500 households will be randomly selected to be included in the NATSIHS. Every household in Australia has the same chance of being selected in the survey. If your household has been selected to be in this survey, it means that the people in your household will represent households that are similar to yours. This is so that statistics about larger groups in the community can be produced. How will you complete the survey? An interviewer will come to your home. They will check your address, identify themselves as an ABS interviewer, and show you their official ABS photo identification. They will conduct the interview using a laptop computer. It would be appreciated if you could provide a table and chair to the interviewer if possible. What information are you going to ask about? The NATSIHS collects a range of information to give a ‘snapshot’ of Aboriginal and Torres Strait Islander peoples health, including the type of health problems people have and their lifestyle patterns. Physical measures (blood pressure, weight, height and waist size). This part of the survey is voluntary. In addition, detailed demographic and socio-demographic data (age, education, employment, income and housing) are collected to enable an assessment to be made of the health and related needs of groups such as the elderly, migrants and low income families. Adults aged 18 years and over who are selected, may also be asked to volunteer follow-up contact details for the purpose of assisting the ABS with future health related information collections. Which people in the Household will be required to participate? Up to two adult members of each selected household (aged 18 years and over) will be chosen at random to participate. Interviewers will conduct a personal interview with this person which will cover a range of topics about the individual’s health and wellbeing. Up to two child members of each selected household (aged 0 to 17 years) will also be chosen at random, where applicable. If the selected child is 0-14 years, the interview is conducted by proxy with a nominated adult. If the selected child is 15-17 years, a personal interview can be conducted if the parent or guardian consents, otherwise a proxy interview will be conducted. What happens if there are people in the household who don’t speak English? An ABS interviewer who speaks the language of the householder will conduct the interview if possible. Alternatively, arrangements can be made to organise an interpreter to conduct the interview. Please call 1800 271 346 (free call, excluding mobile phones) so that these arrangements can be made. No. As with other household surveys, the ABS relies on the willing co-operation of households. I don’t want to participate. Can you choose another household? It is very important to make sure that every household in Australia has an equal chance of being selected for this survey. This means that when all the selected houses are combined, the survey will resemble the whole community which they represent. Once your household has been selected, another household cannot be substituted in its place, as other households have already had their chance of being selected, and this could mean that some parts of the community are under or over represented. The questions in the survey are asked under the authority of the Census and Statistics Act 1905. Under the Act, you are obliged to provide the information that is requested. The ABS is required by the Act to maintain the secrecy of all information provided. No information will be released in a way that would enable an individual or household to be identified. How will you keep my information safe, secure, and confidential? The ABS takes the security of the information you provide to us very seriously. The survey information is collected using a notebook computer and then securely transferred to the ABS office environment. The computer makes the survey quicker and easier to do, and means you only need to answer the questions that relate to you and your household. All ABS employees have signed a legally enforceable Undertaking of Fidelity and Secrecy in which they agree to keep any information, including personal information which they may deal with in the course of their work, private and confidential. This agreement applies to ABS employees for the rest of their lives, even if they leave the ABS. The penalty for breaching this is two years jail, a $21,600 fine, or both. How can I find the results from the NATSIHS? The results from NATSIHS 2018/19 will be available in late 2019.
will only Aboriginal households be surveyed?